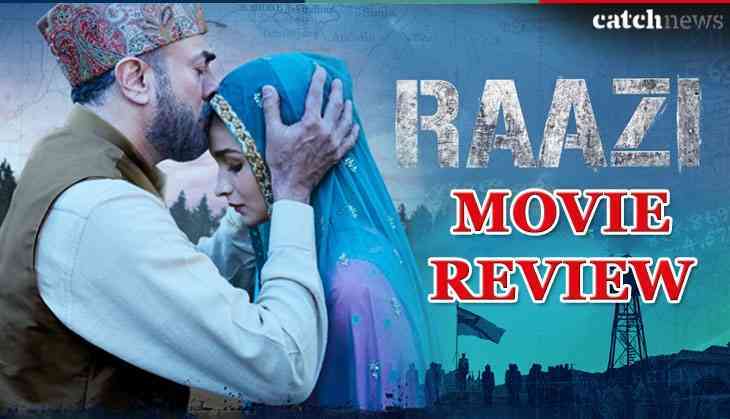 Raazi Movie Review - Director Meghna Gulzar comes with a story of a spy that is called to be a realistic story. Meghna Gulzar adapted Harinder Singh Sikka's novel 'Calling Sehmat' to narrate the glorifying and emotional journey of a 20 years old woman spy. After making Talvaar, this time Meghna Gulzar comes up with a patriotic story. The movie starts with Hidayat Khan (Rajit Kapur) who is a hidden spy of Indian in Pakistan but the Pakistan army believes that he is doing work for them. Since he is now diagnosed with a lung tumour and he doesn't have much time to work for India in the crucial time during 1971 war between Indo-Pak. Then Hidayat Khan decides to send his daughter Sehmat Khan (Alia Bhat) to Pakistan for spying for India. 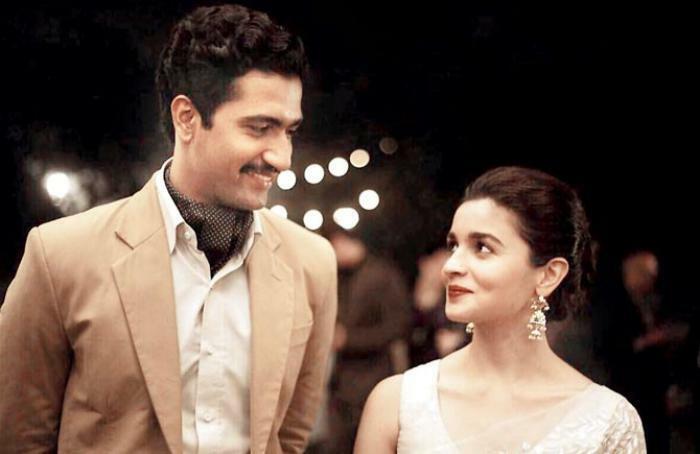 He plans Sehmat to get married to his friend Pakistan's Brigadier Syed (Shishir Sharma)'s son Iqbal Syed (Vicky Kaushal) who is himself an army officer. Here is how the journey of a daughter of India Sehmat starts and how she helped India to win from the PNS Ghazi attack. Now, what should we say about director Meghna Gulzar who tries to narrate the real story in some inspirational way? In Raazi, Meghna Gulzar beautifully narrated a story of a 20 years old daughter whose father sent her in the most dangerous way in her life. Meghna touched every bit moment of the emotional aspects of a relationship between father and daughter. Even after the marriage, how she portrayed a relation between husband-wife is just amazing. This is surely the finest work of Meghna Gulzar. Alia Bhatt is surely the finest actress of this generation and it is not just her stardom but she acts on some kind of emotions is really amazing and unbelievable. Alia Bhatt has just gone into the skin of Sehmat who is just a 20 years old girl and as her family is engaged in the most dangerous work for India, the fear and emotional broken have seen in her face. 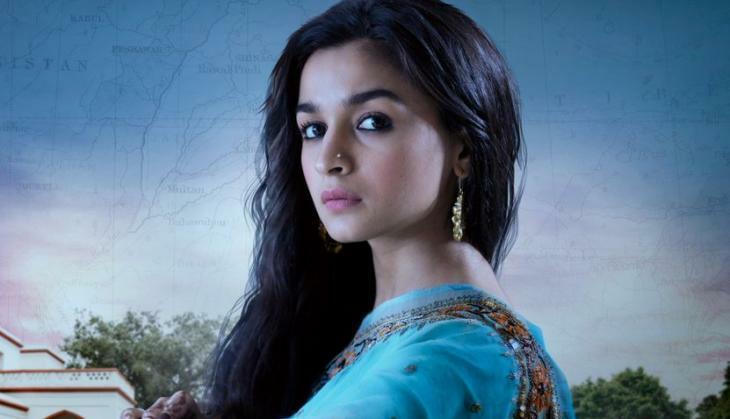 Alia Bhatt is surely the face of Raazi. Vicky Kaushal played the role of Sehmat's husband and an army officer who is unware of a fact that his wife is an Indian spy who is taking information from his family. Vicky Kaushal has not much to do but whatever he had he will make you believe that he is Iqbal Syed. His emotions and love for his wife will first time make you love Pakistan's army officer. Besides Alia Bhatt and Vicky Kaushal, Jaideep Ahlawat is the power of the film and how he became the centre of attraction in between the brilliant performance of Alia Bhatt. It is only the character what Jaideep played and how he played it should be appreciatable. Other actors like Rajit Kapur, Shishir Sharma, Soni Razdan, Ashwath Bhatt, Soni Razdan, and others have done their work brilliantly. They all have some part that is needed and all they have got attention in their scenes. Especially actors who played a small part as spies like Rickshawman and others are truly the connector of the film. Shankar-Ehsan-Loy gave three songs Raazi, Ae Watan, and Dilbaro and all three songs are beautiful, especially these songs will give you the flavour of Kashmiri songs. The lyrics of Dilbaro is a narration of father and daughter's relation after marriage will make you emotional. After watching the film Ae Watan will stay on your tongue to sing for some time. It is truly a beautiful patriotic film narrating the story of a glorifying spy. You will love the film and it will give you some patriotic goals. Just go and watch and films like Raazi should not be missed.